Everything : very nice, professional and warm staff, always available, helpful and communicative, nice room, great view from the terrace, perfect location close to the bus stop, the harbour and restaurants, yet very quiet. Everything,specially Manos the owner!! One of the best hosts!!! The location was perfect, followed by the attention provided by the host. He gave us specific information on a map on things to do. We would definitely stay again! We were so close to the beach and a very good restaurant, Yialos Yialos provided us beach chairs at 10EUR for the whole day. Everything was simply amazing. Clean and cozy studio with ample space and great views out of the balcony. We booked this place last minute since we changed our mind about our original place. We honestly couldn’t be any happier with our decision. Manos is a great host whom genuinely cares for his guests. Our flight was for 2am and he even stayed awake (he lives on the property) to ensure that our taxi arrived timely. So thoughtful ! He also gave us great tips on places to visit and things to do. 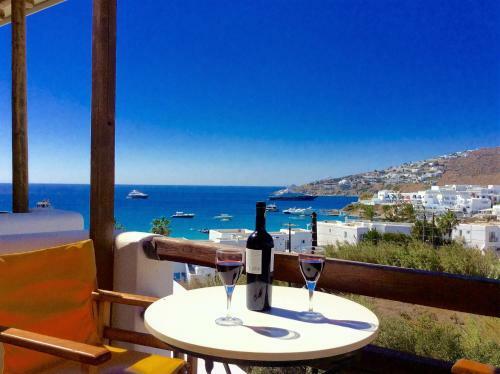 I highly recommend this place if you’re looking to relax and enjoy Mykonos, want the option to cook within your own privacy, walk less than 5 minutes to the beach and stay at a convenient location (only 15 minutes away by their city bus (1.80 € per person)). Manos is fantastic, gave us great advice on where to eat and what to see! His family was also very welcoming. Loved waking up to our patio & the views. So close to the beach!! Loved this side of island. Mano was so helpful and friendly. His place is amazing with a kitchenette that we enjoyed cooking in and a huge comfy bed! We would definitely stay here again. Manos is very hospitable and helpful. Good location and very close to beach. Rooms are large and clean. Great quality for the price. First of all, Manos is a great host. He was welcoming and genuinely helpful in many ways - from advice about the island when we arrived to dropping us at the airport when we left. The other big highlight is location. 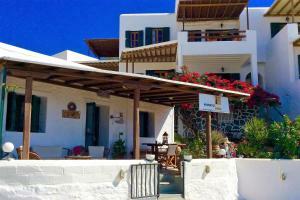 It's a 2 minute walk to the beach with great restaurants and loungers for rent. A few more minutes takes you to Paraga beach and a few more to Paradise. We also had a small kitchenette which was very nice for making small snacks. Manos could not have been a better host! My four friends and I LOVED our stay at the Manos Studios. The studio was right next to one of the best beaches on the island and Manos gave us all of the recommendations we could have asked for!! Thanks Manos!!! Manos was a great welcoming host and the room was spacious and clean. Great value and stay. 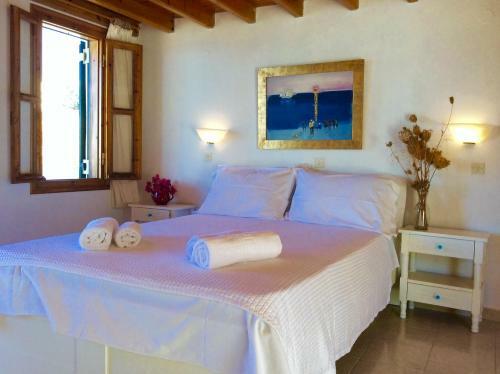 Lock in a great price for Manos Studios – rated 9.5 by recent guests! One of our best sellers in Platis Gialos! 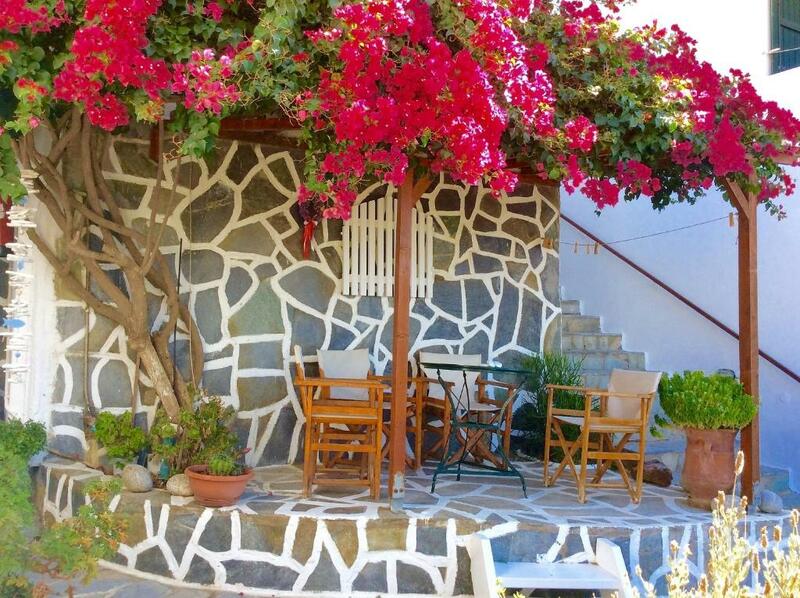 Offering a sun terrace, Manos Studios is located in Platis Yalos. Mýkonos City is 2.4 mi away. The nearest airport is Mykonos Airport, 1.2 mi from the property. 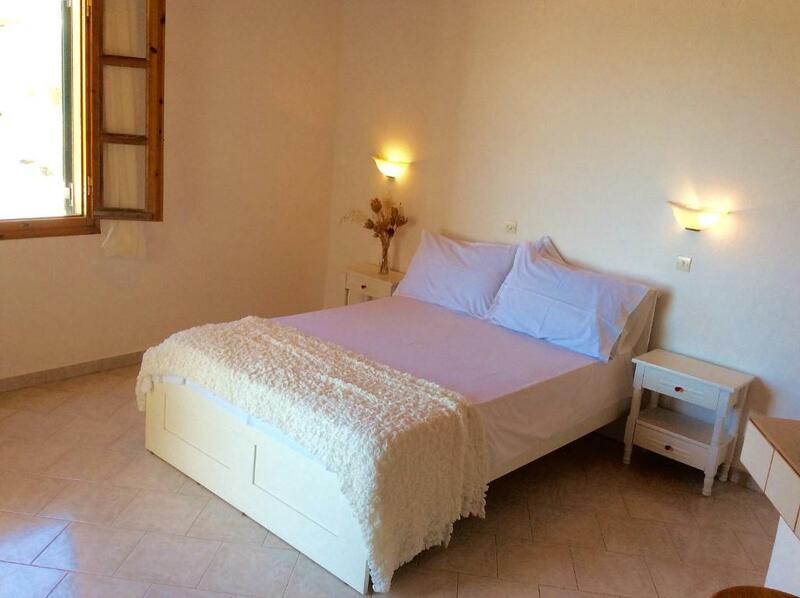 When would you like to stay at Manos Studios? 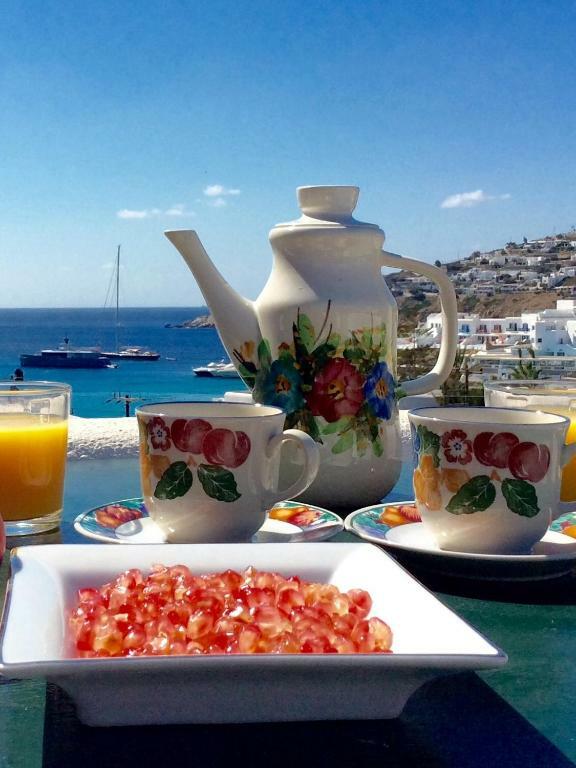 This apartment has a kitchenware, electric kettle and sea view. This apartment features a flat-screen TV, kitchenette and electric kettle. This studio features a electric kettle, kitchenware and air conditioning. This studio has a kitchenware, flat-screen TV and air conditioning. Το Manos studios βρίσκεται στην βορειοανατολική πλευρά τις παραλίας του Πλατύ Γιαλού. Χτισμένο αμφιθεατρικά προσφέρει μια ανεπανάληπτη θέα για όλα τα διαμερίσματά του μιας και η απόσταση από την παραλία είναι μόλις 50 μέτρα. Η συγκεκριμένη παραλία θεωρείται από τις πιο ήρεμες και όμορφες σε ολόκληρη τη Μύκονο αφού μπορεί άνετα να σας προσφέρει ποικιλία δραστηριοτήτων, όπως είναι τα θαλάσσια σπορ, η πεζοπορία, το ψάρεμα κ.α. Επίσης κατά μήκος τις παραλίας υπάρχουν εστιατόρια, ταβέρνες, καφέ και μίνι μάρκετ. Το γραφικό κατάλυμα προσφέρει μεγάλες βεράντες με θέα στη θάλασσα, πλήρως εξοπλισμένη κουζίνα, τηλεόραση,κλιματισμό, parking και ελεύθερη πρόσβαση στο διαδίκτυο. Απέχει μόλις 3,5χιλιόμετρα από την πόλη της Μυκόνου, 4,2 χιλιόμετρα από το αεροδρόμιο και 5,6 χιλιόμετρα από το καινούργιο λιμάνι. Η 24άωρη δημόσια συγκοινωνία που υπάρχει στα 200 μέτρα, συνδέει το Manos studios με ορισμένες από τις ομορφότερες παραλίες τις Μυκόνου με λεωφορείο αλλά και με μικρά καραβάκια. House Rules Manos Studios takes special requests – add in the next step! Manos Studios accepts these cards and reserves the right to temporarily hold an amount prior to arrival. Please note that children above 2 years old will be charged as adults. Please inform Manos Studios of your expected arrival time in advance. You can use the Special Requests box when booking, or contact the property directly using the contact details in your confirmation. Nothing could have been better: it was a dream . Just a thing: they should ask people not to speak too loud on their terrace: the clients next room spoke loud on their terrace, only separated from ours by a few plants, as if they were alone. The studio is really nice and clean. The view is excellent and Manos was helping in any questions we had. Manos is a great host he is very kind and gave us some helpful information and support all through holidays. We had to cancel our last day due to illness and he kindly offered a refund. Mano's was very helpful and accommodating. Close proximity to the beach and restaurants. Great value for money. The rooms were very clean with a great view. Would be nice to have a shower head holder in the shower. The host was very friendly and gave good recommendations for the area. The room was big as on the photo. Fresh towels every day. Its a pity they dont offer breakfast services. It would be lovely to eat and drink coffee while sitting on the terrace. Especially we could do it by our own, just by buying products in near supermarket. Everything was perfect, and Manos is always available to help. Totally recommended! Nothing to dislike except that i had too little time on this island! I booked this property very last minute and in a month when it is nearly impossible to get good bargain deals so last minute. 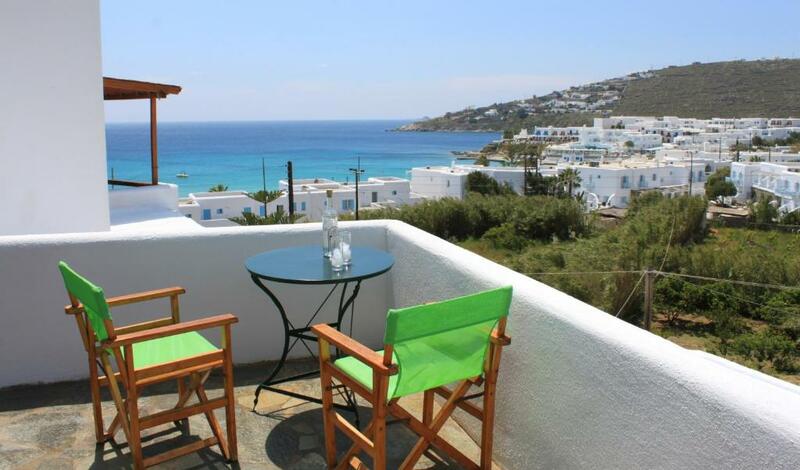 I was lucky to get a very economical deal for Mykonos. The view from the apartment was just stunning. I was note expecting it. 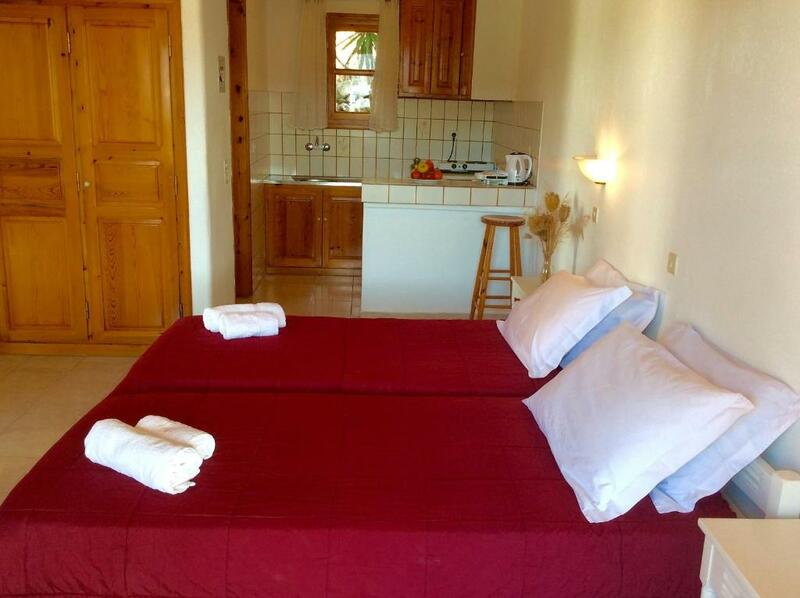 The apartment is only 30 sec walk from the beach front and many of the amazing bars and restaurants. The famous Scorpio's is a 10 min walk and Cavo Paradiso is 15 min However, the best thing about the property is its owner, Manos. What a gem of a person! Extremely helpful, polite and always ready to be of assistance. He made sure my stay was comfortable from the get go, from helping me with my heavy bag to the room, to accepting my request to hand over the keys for the property to my friend who arrived several hours before me (even though i had booked the room on my name). He got us airport transfer booked on the way back to the hotel. I left some money in the room after check out and Manos was so honest and sweet that he immediately called my taxi driver on the way to the airport and asked him to stop on the way and he drove to us and dropped off the cash! Super nice guy and i highly recommend this property! !